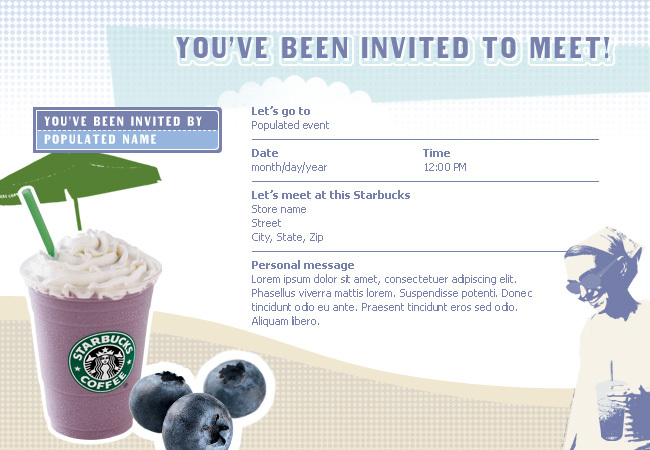 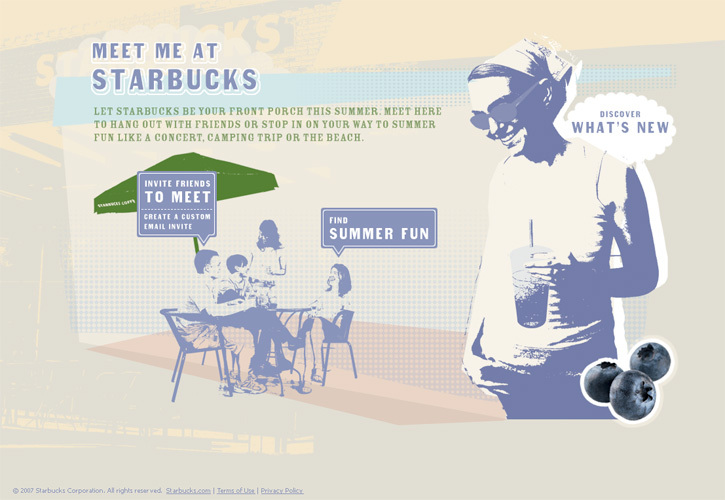 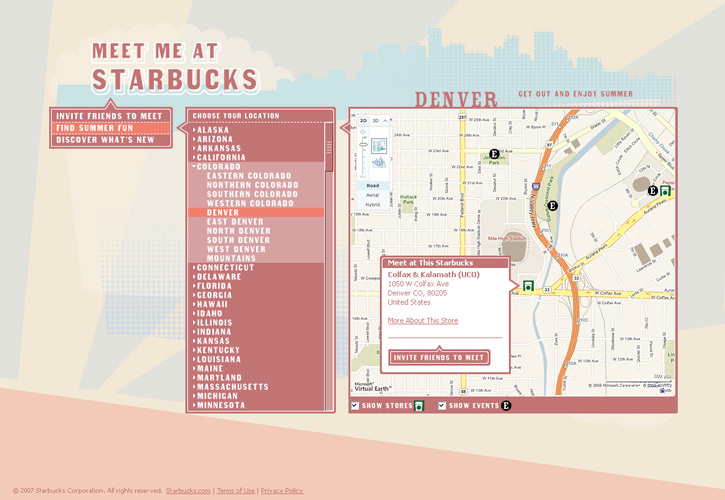 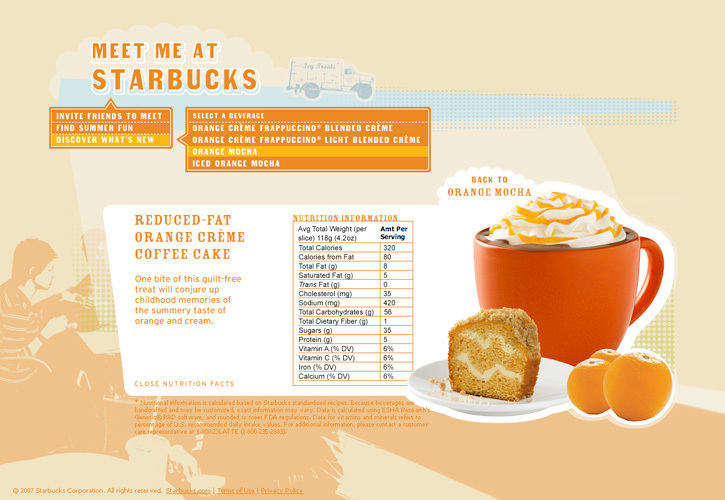 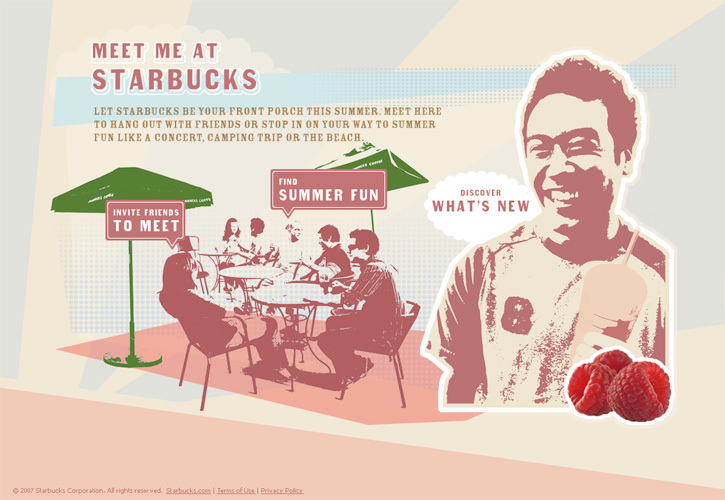 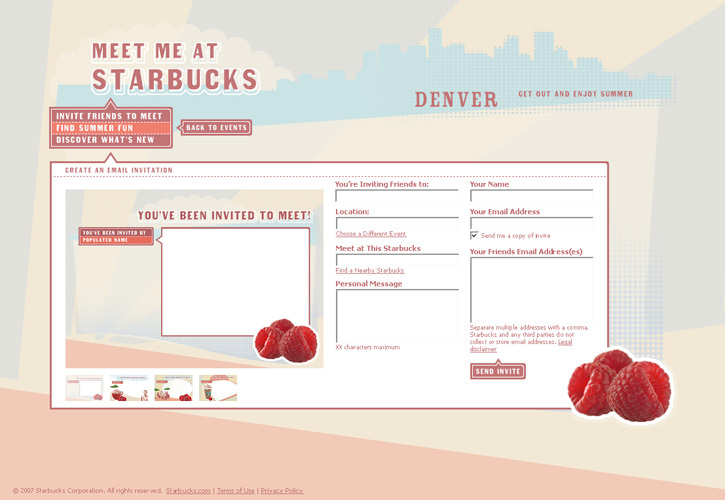 Let’s Meet at Starbucks was Starbucks 2007 summer campaign where users can find a Starbucks store, find an event in their area, create invites and see the latest summer beverages. 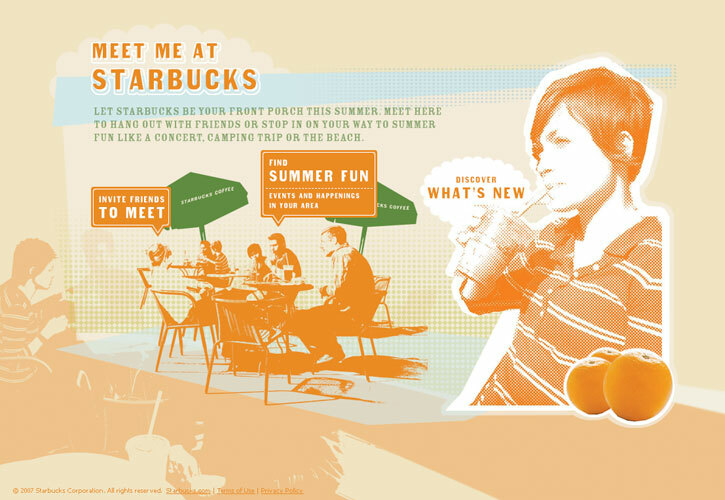 Events were updated by regional stores throughout summer and beverages changed every month, which the site changed to match that beverage offering. 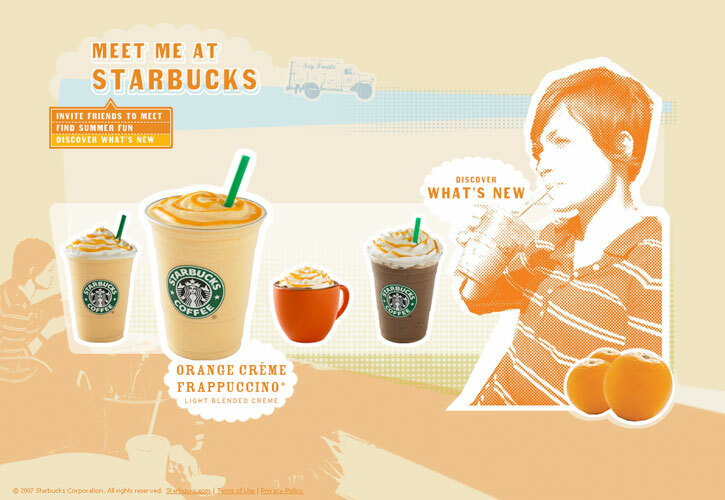 There were also a social media pages that match the beverage offering.